The US rapper - real name Curtis Jackson - will be an executive producer on a TV drama called Power and announced on Twitter that Courtney Kemp would be penning the script. 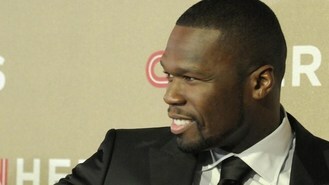 Fiddy, who has his own fragrance named Power, tweeted: "Courtney kemp is the Bomb. She is a Emmy nominated writer for CBS DRAMA "the good wife" she is writing the show." Variety reports that the show for US channel Starz follows a Gotham nightclub owner who skirts the line between legitimacy and criminality. Fiddy has worked in television before. He appeared on an MTV reality show called 50 Cent: The Money And The Power in 2008 and he has made a cameo appearance on The Simpsons.